Bubblegum seeds produce a compact plant with dense buds and a candy, sweet-berry flavor. Highly popular and grown around the world, these feminized seeds are guaranteed to produce the finest, female-only Marijuana plants. A perfect 50-50 Sativa/Indica hybrid with THC levels of approximately 17% and similar, medium level CBD, combine to produce a potent, high yielding strain, perfect for both medical and recreational growers alike. Find out more about Bubblegum Seeds. Blended Sativa-Indica genetics create a balanced, positive high, producing a euphoric, relaxed sensation, leaving the user feeling happy and positively charged. Full-on flavour with an aroma of sweet berries and candy bubblegum. 100% Indica genetics produces a strong plant with very close branching and large, dark green leaves. Flowering times are long, allowing for large amounts of resin to be produced, great for making Bubble-Hash or using the trimmings for cooking with. Perfect for indoor growing, with it's reduced height making it ideal for Sea-of-Green growing techniques. The euphoric high leaves the user feeling relaxed and happy, providing a positive effect against stress, tension and depression. Limited 'stone' makes it a good strain for day-time smoking, while providing a natural form of pain relief. 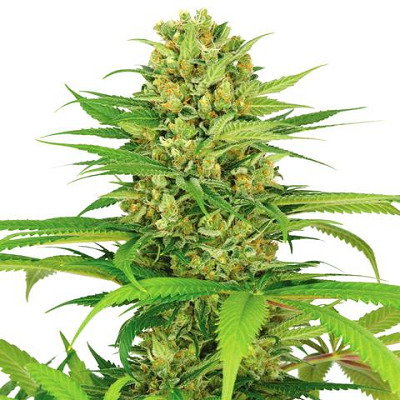 Read the complete Bubblegum Medical Marijuana Seeds Review. Buy Bubblegum Seeds today and receive free worldwide shipping guaranteed.